Selective mutism is often mistaken for simple shyness because it most often occurs in young children and is noticed around the time that they start school. In reality, selective mutism is not a choice to remain silent at particular locations or in front of particular people, but is an inability to speak in these settings. Little is known about selective mutism among individuals who have never witnessed it nor had to cope with it. This article provides some basic answers to frequently asked questions about selective mutism. Selective mutism is a condition in which an individual, usually a child, who is comfortable with and fluent in verbal language when (s)he is relaxed becomes unable to speak in particular settings. Usually these settings are in public, such as at school or at a social gathering. What Are the Signs/Symptoms of Selective Mutism? There are two main signs or symptoms of selective mutism. The first is the ability to use language. Usually this means that the individual can speak fluently, at an age appropriate level, at home. The second is the failure to speak in certain social settings. This often means that when the individual arrives at school, sports practice or a social event (s)he becomes unable to speak, though his or her other language abilities, including listening, reading and/or writing, are not usually affected in the same way. Is Selective Mutism Really Just Shyness? No. In fact, most children with this condition are also diagnosed with an extreme social phobia and some also have a family history of anxiety disorders. In this way it is not the child’s choice to remain silent in particular settings, and in fact the selective mutism may be just as frustrating to him or her as it is to others. There is no single known cause of selective mutism. Most experts on this condition believe that a combination of environmental, biological and social/interpersonal factors bring about selective mutism. Many believe that it is genetic. 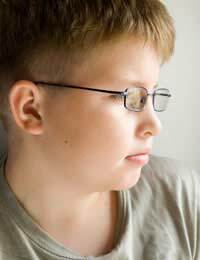 Selective mutism is diagnosed by a trained therapist with experience in selective mutism. The therapist may begin by interviewing parents for information about the child’s developmental history, medical history, family history, and home life as well as by observing the child and interacting with the child. The child may also need to go through a complete speech and language assessment, psychological assessment and developmental assessment, as well as physical examination so that nothing is missed along the road to a firm diagnosis. At its core selective mutism is an anxiety disorder and it will be treated as such. Therapy sessions will focus on lowering the child’s anxiety, bolstering his or her self-esteem and increasing his or her confidence in communicating. Therapy sessions will NOT likely focus on the amount of talking in which the child engages. How Can Others Help A Child with Selective Mutism? Children with selective mutism feel particularly anxious when in a social setting, and it is this anxiety that keeps them from speaking. Parents, teachers, friends and relatives can help these children relax by keeping “the spotlight” off of them and allowing them to begin to explore and communicate in whatever ways they feel comfortable. Emphasis should not be put on whether or not the child speaks during their time in a particular social setting. I am a 32 year old mother to five. I have suffered with selective mutism, and my twelve yr old daughter is also a sufferer. I am much better able to cope with the symptoms as I haven't gotten older. It is absolutely not an unwillingness to talk, and just as mentioned an inability to do so. I have been in situations where I have wanted to talk, but it freezes, it literally freezes. Like it stands still, and there is like a time delay between what is going on inside my mind, what I want to do & what happens. Before I know it, it is too late to say what I wanted to say & is irrelavant by the time my mind & body have connected. I have a good comprehension of what is going on, but there is a delay in the comprehension reaching my mind. I feel like talking, and I want to talk, sometimes I even think what I am going to say, but it just does not happen, I can't make it happen. Sometimes it is shyness, nervousness, anxiety, but not always. Sometimes there is no shyness, but a literally inability. I have often described it as a person that can't read, I literally cannot do it. Just thought I would share what it is like as a sufferer.